Q: What do Iowans need to know about flood insurance? A: For generations, Iowans have weathered the whims of Mother Nature, including the harsh winter most of us are ready to put behind us. However, warmer temperatures can bring an unwelcome visitor along with their arrival: flooding. It happens to be the most common natural disaster in the United States. With high soil moisture, heavy snow accumulation, rainy forecasts and springtime thaw on the horizon, Iowa and the Upper Midwest are under flood advisories issued by the National Weather Service. Iowans need to prepare for potentially costly property and infrastructure damage that follow the tides of spring and snow-packed river basins. First of all, it’s very important for households and small businesses to review their insurance policies. Specifically, find out what is and is not covered. Most homeowners’ insurance policies do not cover floods. 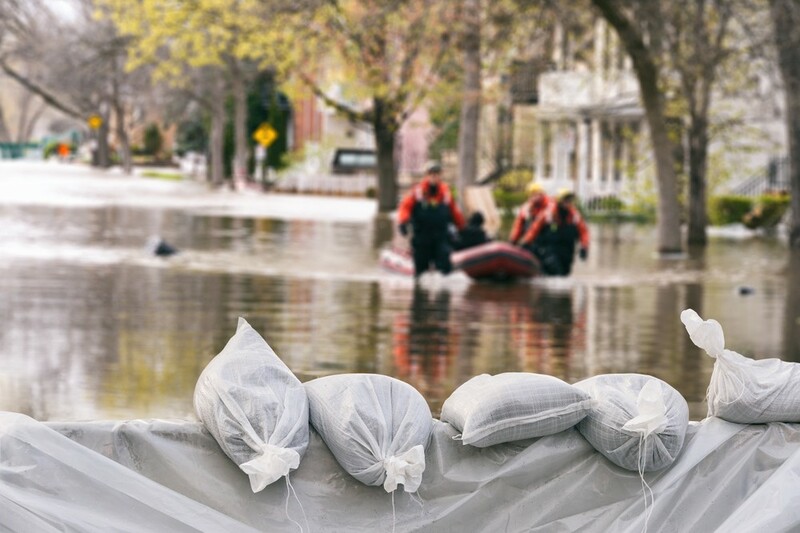 According to guidelines issued by FEMA’s National Flood Insurance Program, homeowners need to be aware that a standard flood insurance policy pays for direct physical damage to insured property. Coverage for contents (personal belongings) within the property must be purchased separately. Policy owners should evaluate their building coverage, such as electrical and heating systems and permanently installed carpeting and cabinets, as well as their coverage needs for personal belongings. Contact your licensed insurance agent if you’re uncertain about what’s covered in your policy. Don’t forget, the cause of flooding matters. According to FEMA, damage caused by a sewer backup, for example, is only covered by flood insurance if it’s directly caused by flooding. I encourage Iowans to help spread another very important message to their friends, family members and neighbors. In most cases, there is a 30-day waiting period before flood insurance takes effect. According to FEMA, exceptions to the 30-day wait period may include if a building is newly designated in the high-risk Special Flood Hazard Area; if a policy owner purchases flood insurance in connection with obtaining or restructuring a home mortgage loan; or if additional insurance is selected on an existing insurance policy renewal. Q: Where can Iowans learn more about flood protection? A: Iowans need to know that flood insurance is not just for those in a flood-prone designated region. The National Flood Insurance Program (NFIP) offers coverage to homeowners, renters and small business owners who may purchase flood insurance through licensed property insurance agents. The Iowa Insurance Division has a list here. If your insurance agent does not sell flood insurance, contact the NFIP Help Center at 800–427–4661. My office has been communicating with the Army Corps of Engineers, National Weather Service and National Oceanic and Atmospheric Administration to monitor and track flooding threats across the state. The month of March is on track to roar in like a lion with widespread flooding forecast for the Upper Midwest due to enhanced runoff from heavy rain and melting snow, according to federal meteorologists. Advisories for major flooding, even “all time” record flooding crests, is predicted along the Missouri River. I encourage Iowans to take the advice of Benjamin Franklin. An ounce of prevention is worth a pound of cure. Be pro-active. Check your flood insurance coverage and document household inventory with video and photos. It’s better to be safe than sorry. The NFIP says just once inch of floodwater could cause as much as $25,000 damage to your home. It offers a checklist of things to know and do before a flood reaches your doorstep. The National Weather Service (NWS) advises motorists not to drive through water-covered roads. It urges drivers to turn around and find an alternate route; most flood-related fatalities occur in vehicles. Motorists can plug in their destination on the NWS website to check for advisories here. Iowans who need assistance or have questions about flood insurance coverage may contact the Iowa Insurance Division at 515–281–5705. As always, my office is ready to help Iowans who run into red tape with FEMA, the federal agency that oversees the National Flood Insurance Program.